Are you wondering if your garage door needs to be replaced? Many homeowners want to know the signs of a failing garage door that might be giving them a bit of trouble. Of course, whenever in doubt, it is always good to give a garage door contractor a call. They can provide you with more information on if replacing or repairing the garage door is the best way to go. These are the top signs to watch for when you think your garage door might be failing. When you can recognize the signs, you’re better able to know if it is time to splurge and buy a new one for the garage. 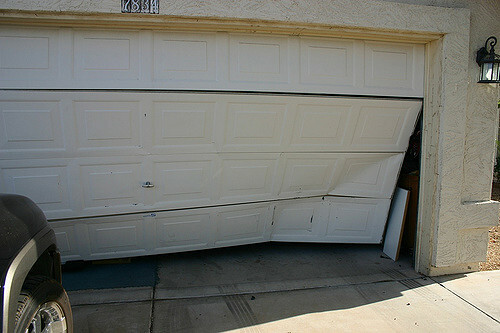 When the door doesn’t open or close, then it is time to consider a new garage door for the space. You need to be able to get in and out and a garage door that absolutely doesn’t budge isn’t going to do it. When this happens, it can seem like something is stuck or is trying to push through. This is not only annoying, but it can mean that your door isn’t working like it should. It should open and close quietly. The garage door sagging in areas can indicate a serious problem with the alignment and the track of the system. Be sure to have this checked out by a professional. You don’t want to worry about one area of the garage door coming down when you’re under it. There are many signs to watch for when it comes to your garage door. It is important that you speak with a professional when you may think that anything is off with it. This can help keep the garage door in the best shape possible. If you want to get in contact with the contractors in your area, fill out the form below or give us a call here at Contractors Today and we can recommend some of the best ones working in your area now!